One of the things I love most about visiting Chablis is being able to walk from cellar to cellar. Located just a stone’s throw from many of the village’s most prestigious addresses, Hostellerie des Clos is an excellent base for discovering all Chablis has to offer. The rooms are quiet and comfortable, while the restaurant offers beautifully prepared cuisine and an extensive wine list with plenty to choose from. Two recent meals at the Hostellerie were both terrific. 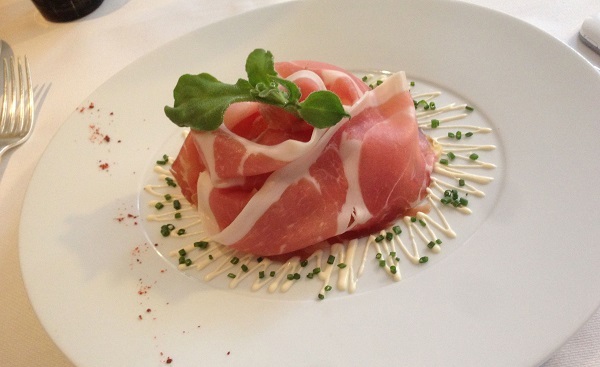 The rosette of Parma ham with diced melon adds French flair to an Italian classic in a gorgeous dish perfect for a warm, summertime lunch. 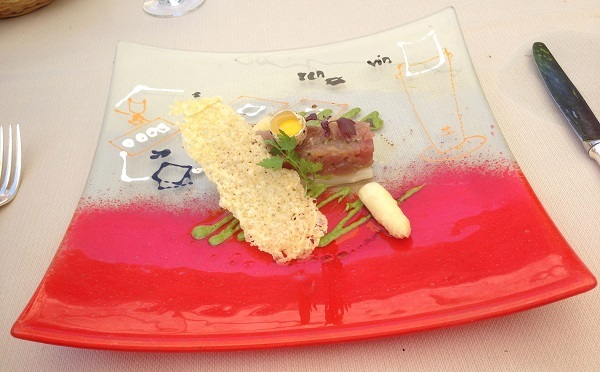 The white Pontigny asparagus with tuna tartare is similarly light yet also beautifully done. 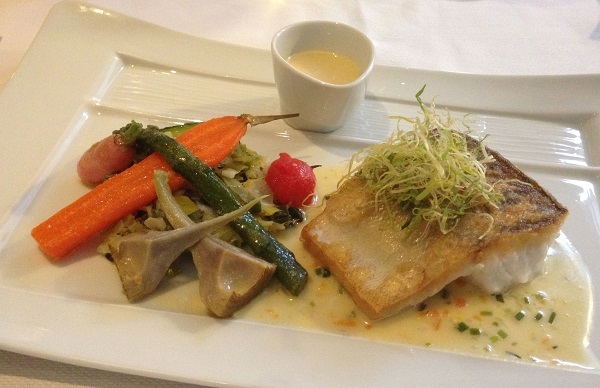 The seared perch with vegetables and butter sauce is a perfect vehicle for Chablis. Readers will want to take time looking over the Hostellerie’s large list, as there are a number of hidden jewels sprinkled throughout, including a handful of older vintages that will delight readers who appreciate the joys of fine, aged white Burgundy. 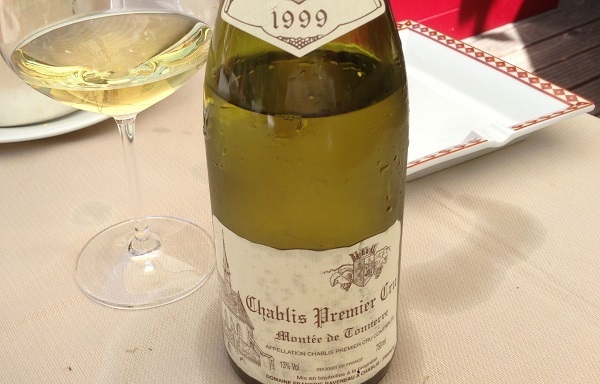 Raveneau’s 1999 Chablis Montée de Tonnerre is in a marvelous spot right now. Petrol, smoke, slate, apricot pit and wild flowers are some of the many notes that grace the palate in an utterly vivid, vibrant Chablis endowed with magnificent purity and pedigree. At fifteen years of age, the 1999 Montée de Tonnerre still has a lot to say. What a beautiful wine! The 2002 Chablis Butteaux is all about texture. White and yellow orchard fruit, sweet spices, mint and flowers meld together as the wine opens up over time. The 2002 is built on resonance and texture, both of which give it a sense of immediacy that is impossible to resist. Readers visiting Chablis will want to consider spending a few nights at Hostellerie des Clos. During the summer months lunch is served on the patio. I can’t think of too many other things I would want to do than spend a few leisurely hours on the deck enjoying an exceptional meal with a great bottle or two of Chablis at the Hostellerie des Clos.